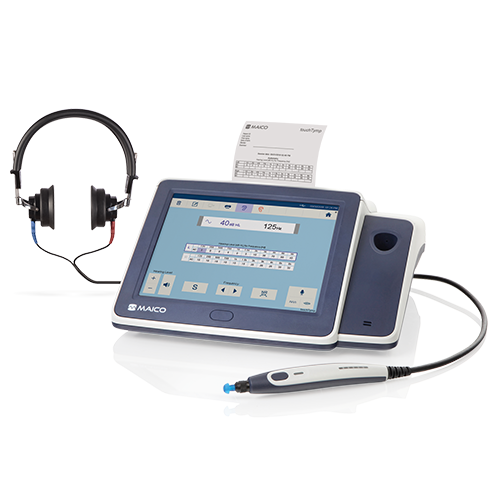 The touchTymp MI 26 combines fast screening tympanometry and audiometry tests in one exceptional device. The full 10.4" touchscreen with its user-friendly interface guarantees a unique intuitive operation and allows the user to quickly change parameters. You can easily switch between the tests without reorganizing from one to another device and benefit from its small footprint when facing limited desk space. touchTymp MI 26 really improves your workflow every day.